So at this point you might be asking yourself, what does this have to do with DIYDrones? Why is this posted on a primarily UAS networking and blog site? Well.... I just ran across this little gem. That's right, Reno Air races will be hosting a UAS demonstration and challenge. The challenge is open to everyone, from beginners, to starts ups, and onto the big boys in the industry. Rumor has it that the challenge will have everything from a weight lifting competition, obstacle course, and even a timed circuit. The demonstration will be held in a large netted enclosure connected to an existing hangar. What else? Well this event is approved, and supported by the FAA to try to raise awareness to not only the general public, but also the many private pilots in attendance. Not only that, but it is rumored that there will be numerous Unmanned aerial systems on display, once again everything from your start-ups to the giants in the industry. This is truly exciting considering Nevada's FAA established UAS test area. So, what is in it for you? First off, you get to fly in a challenge/demonstration, which would be totally fun. Secondly, you get 2 general admission tickets for the day you are participating. Last but not least, you get to attend the fastest race on earth. However, you do need to possess liability insurance, or insurance through the AMA to participate. 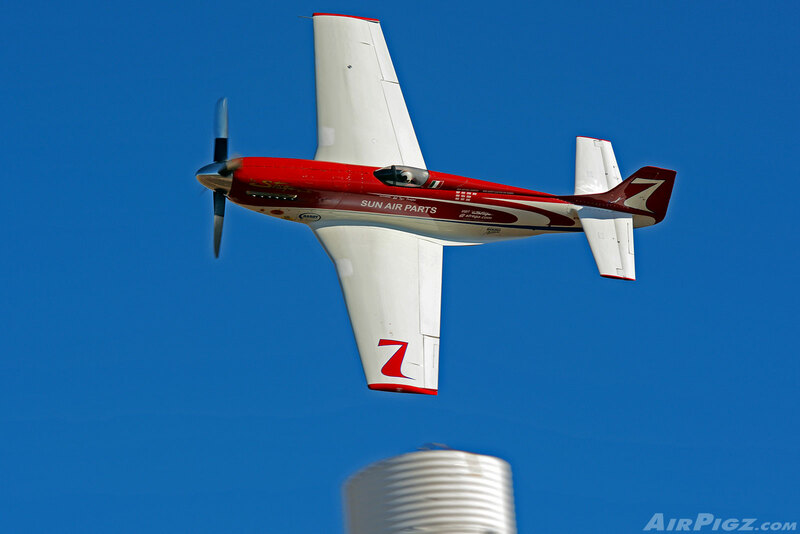 If you have not been to the Reno Air Races, it is a must for any flight enthusiast. There is nothing like seeing 3,600hp+ aircraft roaring past at speeds of up to 500 mph. The event contains aerial demonstrations, and all sorts of racing from the Formula one class (Aircraft slightly larger than your car, and smaller than some! Racing by with a mere 200 cubic inch engine), Sport class (consisting of homebuilt (primarily two seat) aircraft) and your Unlimited racers, which undergo extreme aerodynamic and engine modifications to squeeze out every ounce of speed. However now you can mix all this fun and excitement with your other favorite hobby, Flying UAS! Needless to say, I am very excited to see Unmanned Systems not only on display, but demonstrating their abilities at one of the most popular aerial shows around. PS, I have no connection to any of the aforementioned. I am simply excited and wanted to share it with you all! Now for your viewing pleasure, Steve Hinton Jr takes you behind the stick in VooDoo for 491mph Qualifying session during last years event. Nice! A lot of full-scale pilots I know are very skeptical of "those little RC things." Maybe this will help. As a full-scale pilot and flight instructor, there is a lot of FUD to break apart between these groups. One way or another it is a great way to open the minds of skeptic pilots. Much more beneficial for the UAV community than UAV conferences. As much as I love conferences and expose they are really only good for those interested or already in the UAS community. Public displays and events such as this at Reno will open the door to more eyes, from general public to pilots themselves. We need to talk and demonstrate outside of our community. Ah! Swift... Very aware of these little beauties. I bought one of the first RocHobby CriticalMass' when it first hit the shelves, I even at many points suggested that their Strega Airframe can become a VooDoo airframe with the simple change of livery (due to the two aircraft having 90% of the same mods)... Anyhow, not much of a foamy guy, but being an avid Reno fan, I had to have them... Still haven't purchased voodoo, but I have Strega and CMass sitting in the garage safely. That being said, I am very excited to see uav's make an appearance. I believe whole heartedly that although UAS expos are great, it still does little to show the general public, or even concerned private pilots. Here's to hoping everything goes well!